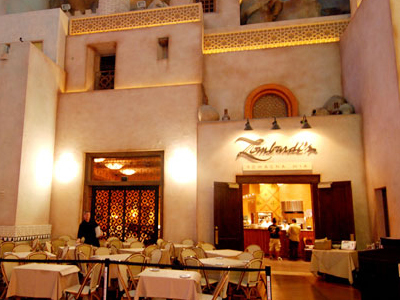 Lombardi’s Romagna Mia in the Miracle Mile Shops offers Vegas guests the delicious tastes of Italy. This European-style sidewalk café hosts a tremendous selection of oven-baked pizza, fresh seafood, premium cuts of beef, and a vast array of pasta choices. Be sure to try one of their creamy risottos. Indulge in a homemade glass of sangria and fresh baked bread and you will experience a bit of Vegas magic with the exemplary cuisine created at Lombardi’s. A special pre-theater menu is offered as well as a kid’s menu and gluten free options. A taste of Italy while enjoying yourself in Vegas!